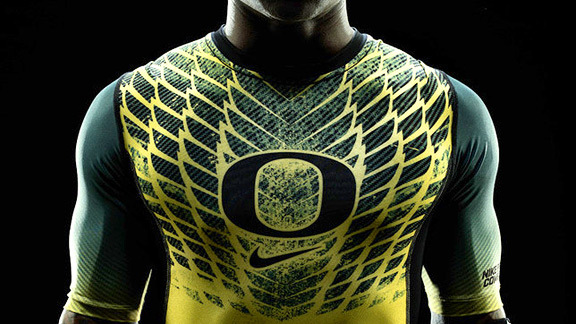 I understand that a Duck isn't the scariest animal of them all, but these new Nike Pro Combat Uniforms for the Oregon Ducks in the Rose Bowl are frightening. 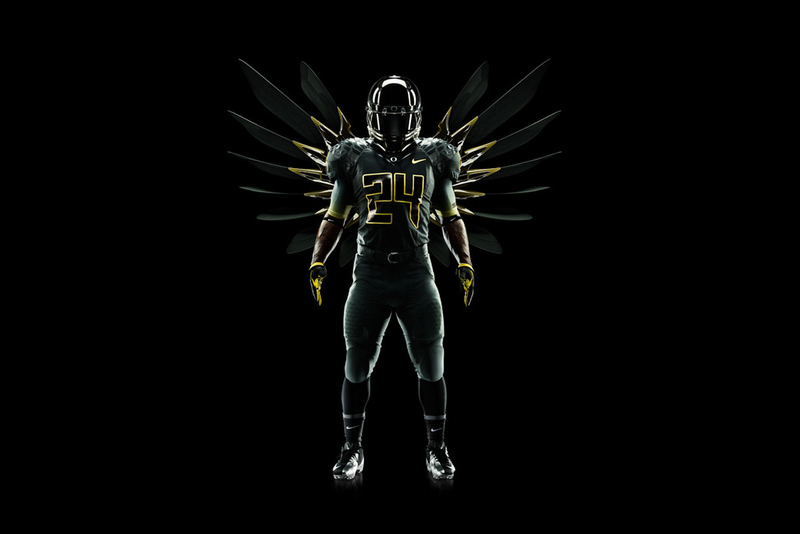 The good guys at Nike have given the Ducks tons of interesting uniforms, but a Darth Vader-esque jersey with wings on the helmet and a big "O" on the back don't seem to fit into the Rose Bowl theme. Look at the Wisconsin Rose Bowl jersey for example. Adidas decided to put a "rosy" pattern on the numbers. There's nothing scary about it, but then again, there doesn't have to be. Perhaps both teams thought that a different jersey would change their previous fortunes in the Bowl (Oregon lost to Ohio St. in 2009 and Wisconsin lost to TCU last year), but only one team can win "The Grand-daddy of them all".